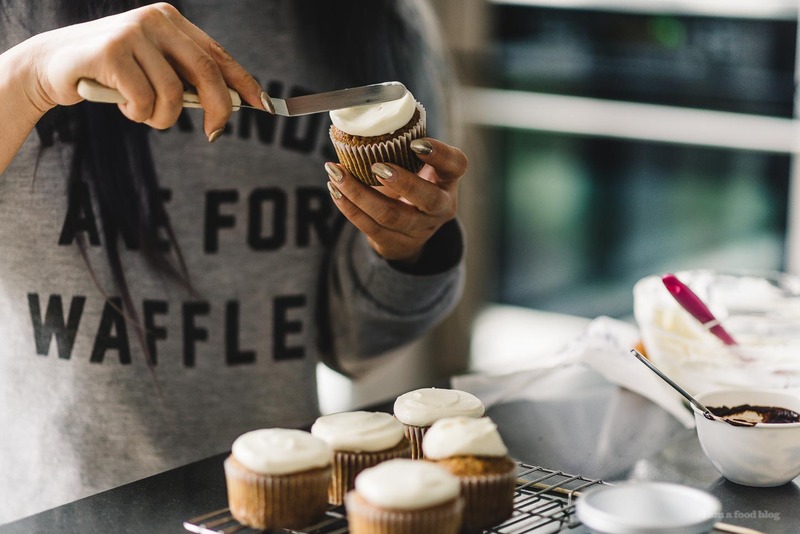 Sometimes you don’t want to be drowning in cupcakes….although why you wouldn’t I don’t understand. 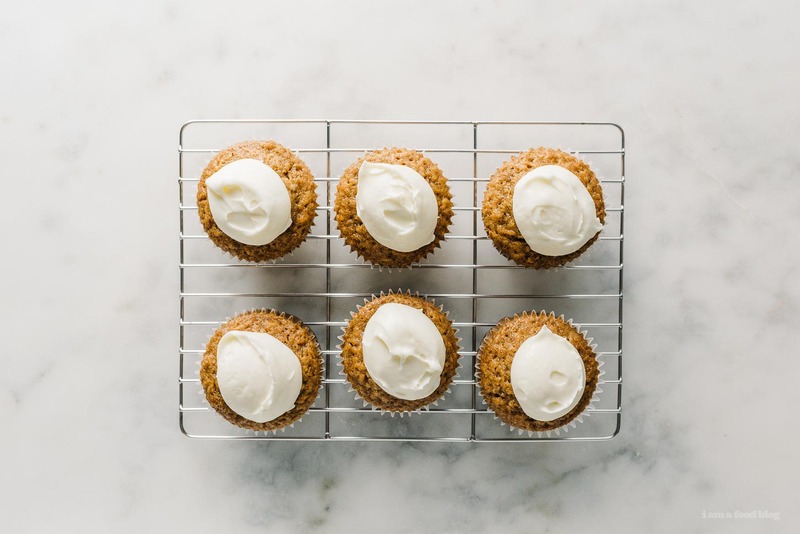 But, when/if you have a touch of self control, you should make these small batch carrot cupcakes! I LOVE carrot cupcakes. They remind me of the very first trip Mike and I ever took together, ages and ages ago. actual photo from back then – 1 whole megapixel! 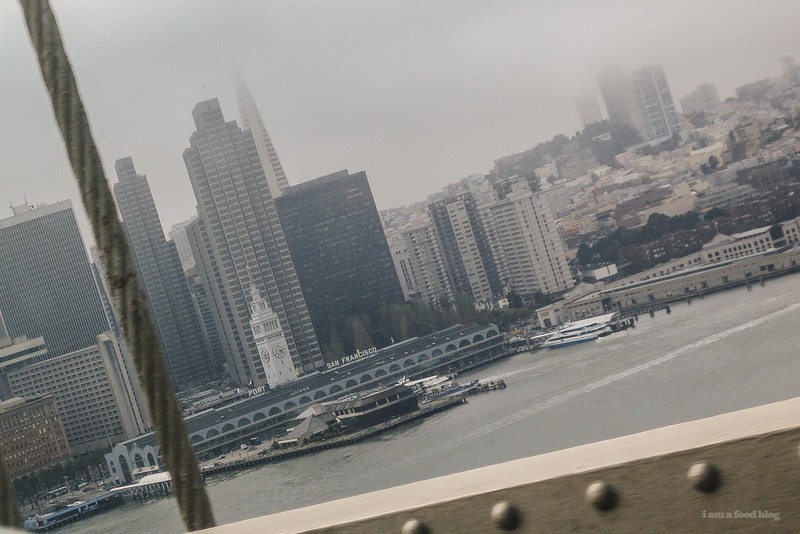 We drove down the coast to San Francisco, through the night only to arrive in the city early in the morning. The streets were covered in Karl the Fog and we hopped into a coffee shop for some much needed caffeine. 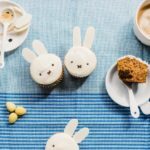 It happened to be Easter weekend and the carrot cupcakes called out to me. 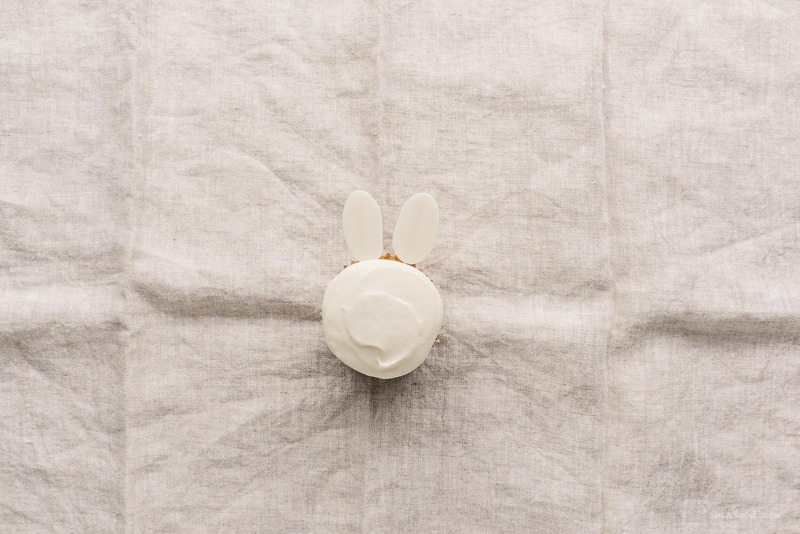 Ever since then, carrot cupcakes remind me of San Francisco, Easter, and my favorite person in the whole world. Speaking of my favorite person in the whole world, Mike’s family is the best. His cousins came over yesterday to hang out and we ordered pizza and ate tonnes of snacks and these carrot cupcake bunnies. It was really funny because we decided to play cards and there was some obligatory smack talk between all of us on who would win. I stayed out of it because it was my first time playing this iteration of the game, but bets and side bets were made. The rules were laid down: it was one game, no practice runs. Our littlest cousin (she’s really not so little, but she is the youngest) claimed she was going to school us all, but first she needed her ultimate playlist, as well as cheese (brie, in case you’re wondering) to snack on. Cards were dealt, and hands were played. As it started getting closer and closer to the end of the game, the tension started to build and the trash talk increased by tenfold. We were down to our last cards when she threw down her last two and jumped up and started dancing in victory. It worked: the cheese, the playlist, everything! But then, our other cousin was like, “hold up, hold up, I didn’t pass yet.” And it was true, it wasn’t technically her turn. He then proceeded to demolish her. Afterwards, he admitted that he let her preemptively celebrate even though he knew that she didn’t win. Savage! We all laughed our heads off. The rest of the night ended with her winning exactly one game out of many. It was an ongoing joke that her version of winning was not coming in last. Fun times with family which is what Easter is all about. Happy Easter friends! Hope it’s filled with egg hunts and lots of laughs! PS – Don’t forget to remove the ears before you bite into these guys ’cause you don’t want to stab yourself with the toothpicks! Heat the oven to 350°F. Place 6 cupcake liners in your pan. In a bowl, stir together the flour, baking soda, salt, cinnamon, and ginger. Set aside. In another bowl, whisk the oil and sugar together until well blended. Add the egg, mixing well. Stir in the flour mixture until blended, then incorporate the shredded carrots. Divide evenly amount the baking cups and bake for 18-20 minutes, or until a skewer inserted into the middle comes out clean. Let cool completely before icing. 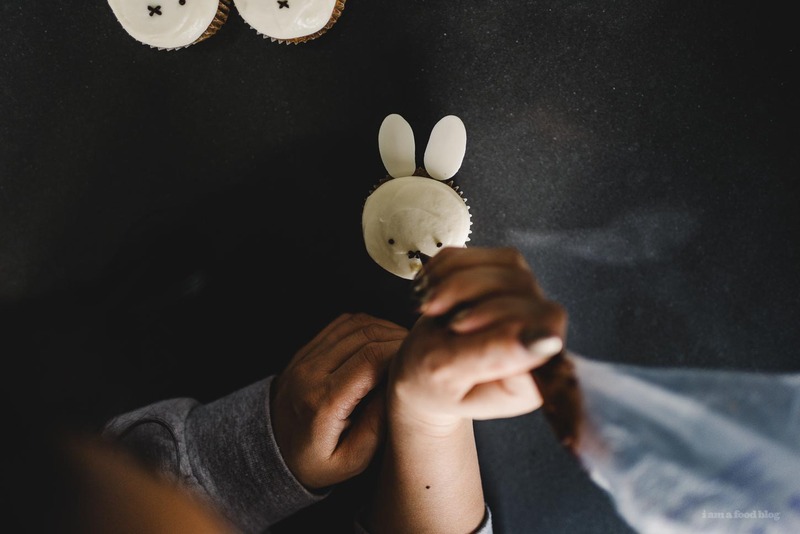 While the cupcakes are baking or cooling, make the ears. Melt the white chocolate melts, then put in a piping bag. On parchment paper, pipe out 12 ovals. These will be the ears. 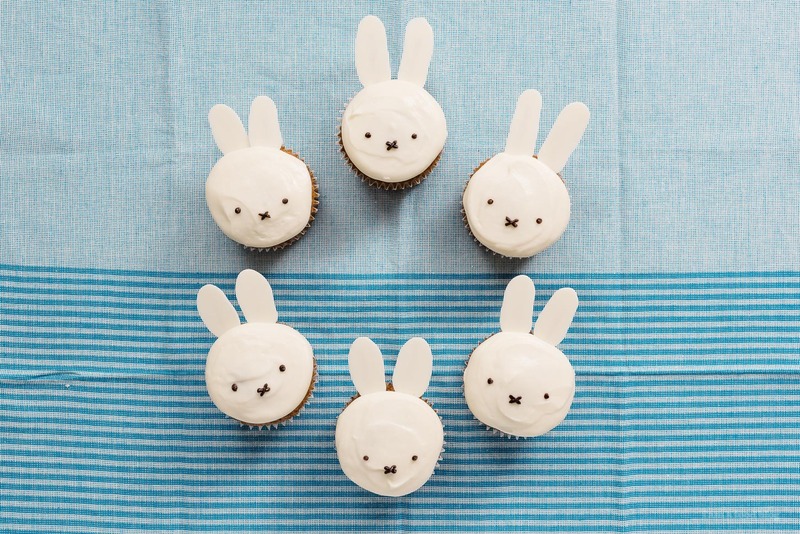 Lay a toothpick down on each oval, this will help you attach the ears to the cupcakes. Be sure not to push the toothpick down too far, you don’t want to see it on the other side. Let set until hard. Once the cupcakes are cool, frost, then position and push in the ears. 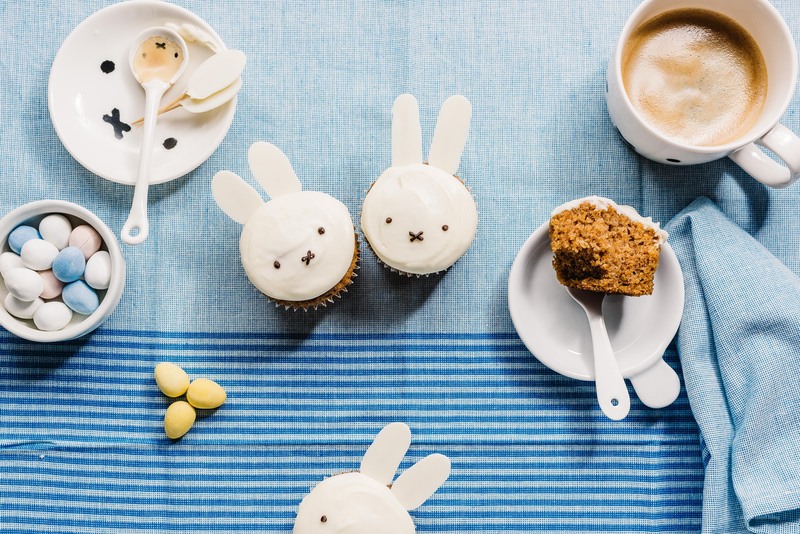 Use melted white chocolate to pipe on two eyes and an X for Miffy’s mouth. Remove the ears before you bite into these guys ’cause you don’t want to stab yourself with the toothpicks! 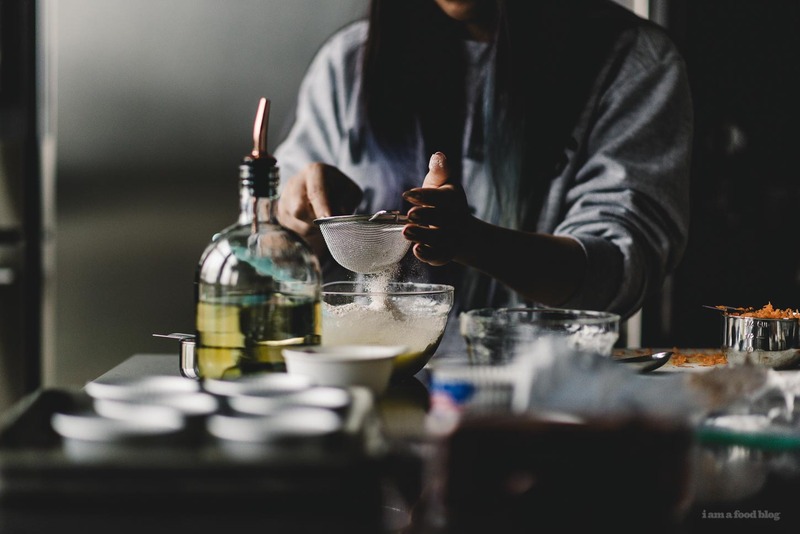 Using a spatula, mix together the room temperature cream cheese and sugar until very smooth and set aside. Whip the cream until it holds medium peaks then fold into the cream cheese. Note: you will have some extra frosting left over, this makes enough frosting for about 12 cupcakes. I know for sure that my daughter will love these cupcakes. Can’t wait to give it a try. Thanks! I love a little teeny tiny batch of cupcakes! That frosting… ! I love my cousins so much too, and am close to Rich’s cousins.. it’s like built-in friends for life… ! (Ps that single megapixel snap made me LOL… but you’ve seen my early photos too… hehe)! Hi, it’s my first time commenting on this amazing blog.